GoJet Airlines has announced a new bonus package to attract the most qualified pilot candidates to its team. 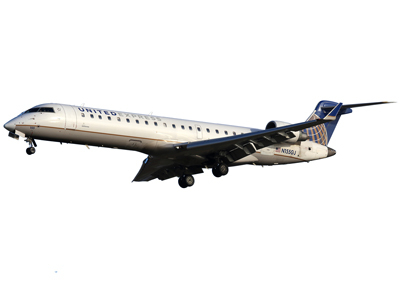 Now with up to $56,000 in bonuses for new hire First Officers, total compensation for GoJet pilots is among the highest in the regional airline industry. The new bonus package includes a $51,000 bonus for new hire First Officers, as well as a $5,000 Air Carrier Experience Match for current and qualified pilots from any scheduled US or international air carrier. Pilots eligible for this program may carry over longevity from their previous carrier at a rate of 1 to 1, and are also eligible for up to six months of early seniority. "At GoJet, we value what our pilots bring to the table. We pride ourselves on providing our pilot group with competitive compensation and other opportunities through innovative programs and partnerships," said GoJet Chief Pilot Brad Sargent. GoJet programs include customized options for military pilots, helicopter pilots, student pilots, and flight instructors. Furthermore, as the only regional airline with a direct pathway to Spirit Airlines, select GoJet plots can transition to a First Officer position at Spirit in as little as two years. Additionally, GoJet's referral program allows GoJet pilots to earn a $10,000 bonus for each successful pilot candidate they refer to the company. "Our upgrade time is one of the fastest in the industry, our partnerships are unique, and we have the absolute best company culture," GoJet Chief Operating Officer, Terry Basham said. "When pilots join the GoJet team, they launch their careers in a productive environment and could advance to a major airline in record time." For more information about becoming a GoJet pilot, visit gojetairlines.com.